It was an early start on Sunday the 20th of May, heading up at 6.30am on Sunday for the two-hour trip to the Northampton track. The weather was fantastic, with sunshine and blue skies. 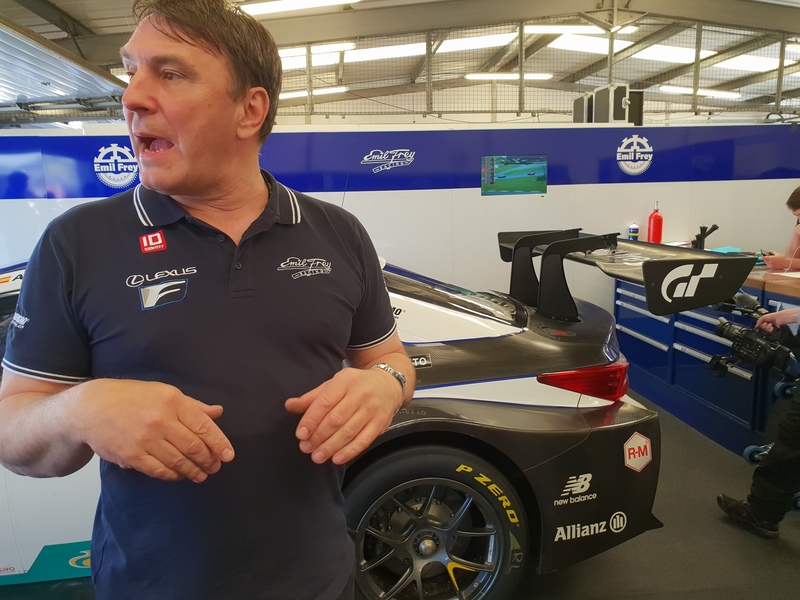 Ed Hocknull and I had been invited by Lexus UK to attend the second UK round of this championship that is held in the UK, although this would be the longer endurance three-hour race, rather than the two separate one-hour sprint races held at Brands Hatch. The team run two Lexus RC-F GT3 cars, numbered 14 and 114. 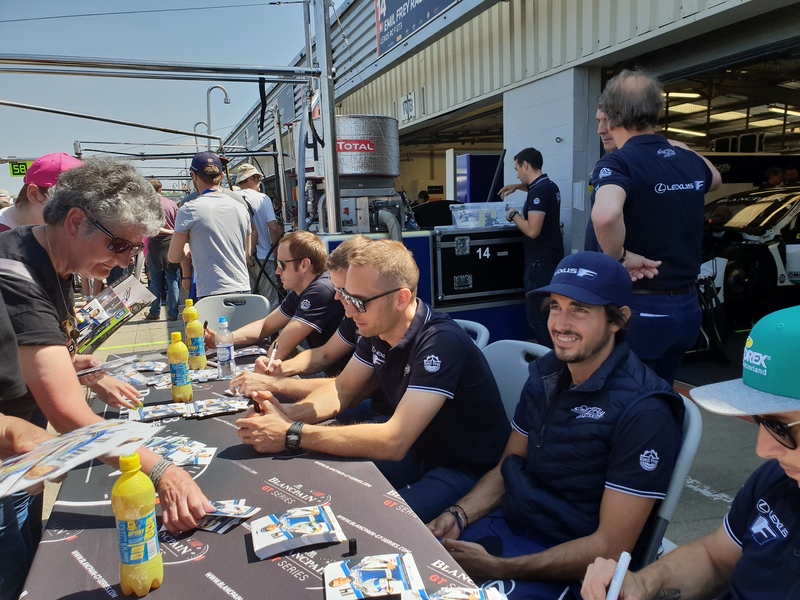 The drivers of car 14 are, Albert Costa, Christian Klein and Marco Seefried, whilst Stephane Ortelli, Norbert Siedler and Marcus Palttala team up in 114. 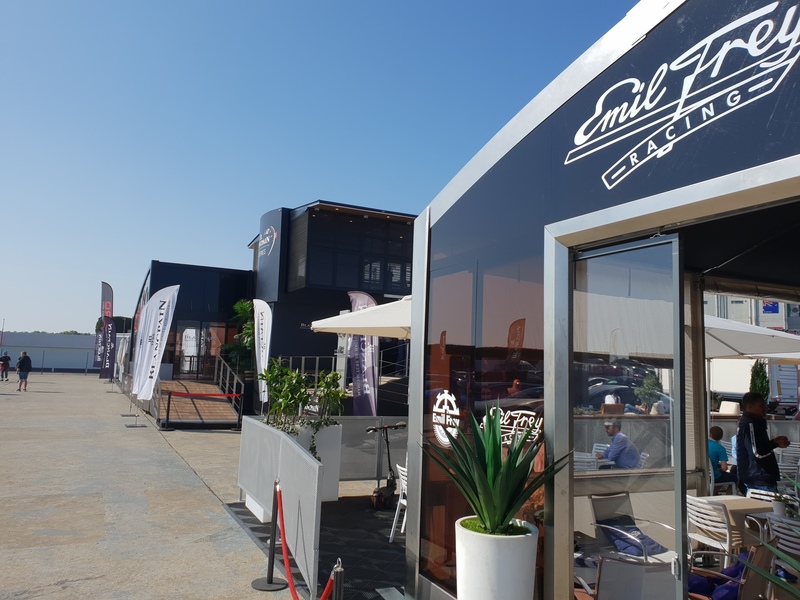 We were given a warm welcome by the team, with VIP passes allowing access to the garage at all times and grid access too. The first track action of the day was qualifying, which is an hour long. 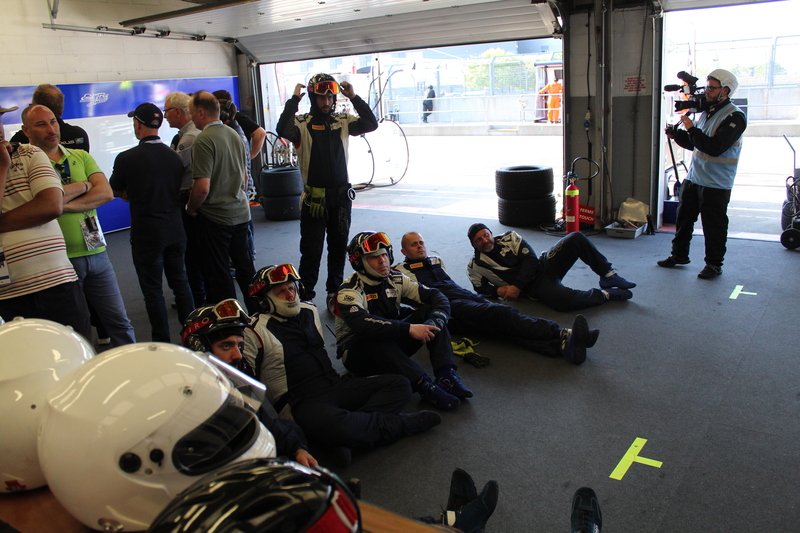 Each driver has to drive the car in qualifying, getting 15 minutes each, with a seven-minute break between each run. This makes for a busy hour when there are 50 cars on track! 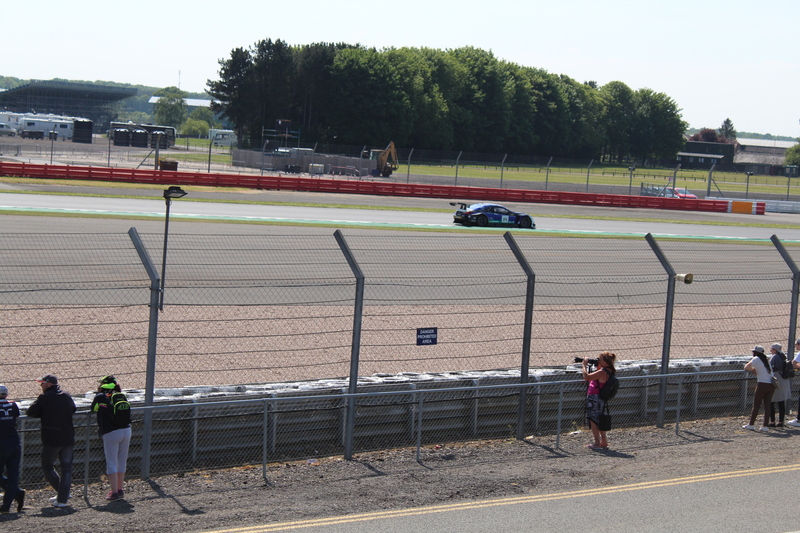 When all was said and done, the number 14 car was third on the grid, whilst the sister 114 car had qualified seventh. The team were very happy with this result, particularly after topping the timesheets in the second part of the session with car 14, showing that they were starting to find the sweet-spot in the set-up and unlocking the potential pace. At the start of the afternoon, we were given a garage tour. The BOP or, Balance of Performance was explained. 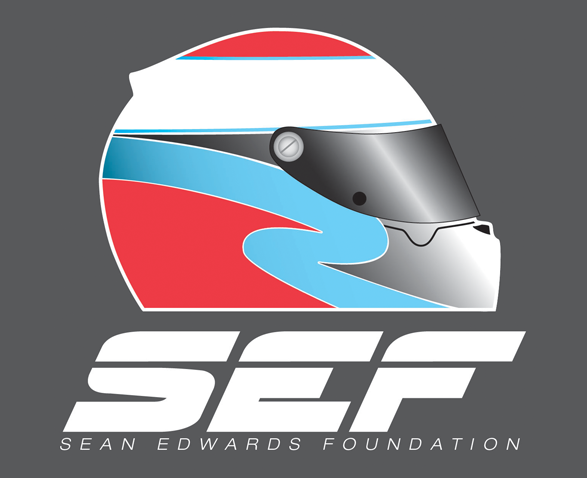 The are so many different cars that run in this championship, that SRO mandate certain things to keep the performance of the cars very close. 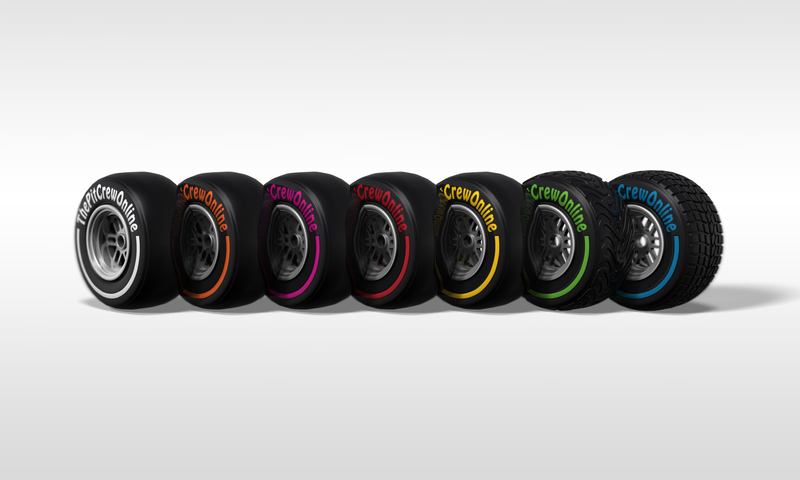 For example, every team get the same tyres and fuel and then there are also restrictors placed on the inlets for the engines, controlling the power the engine can produce. 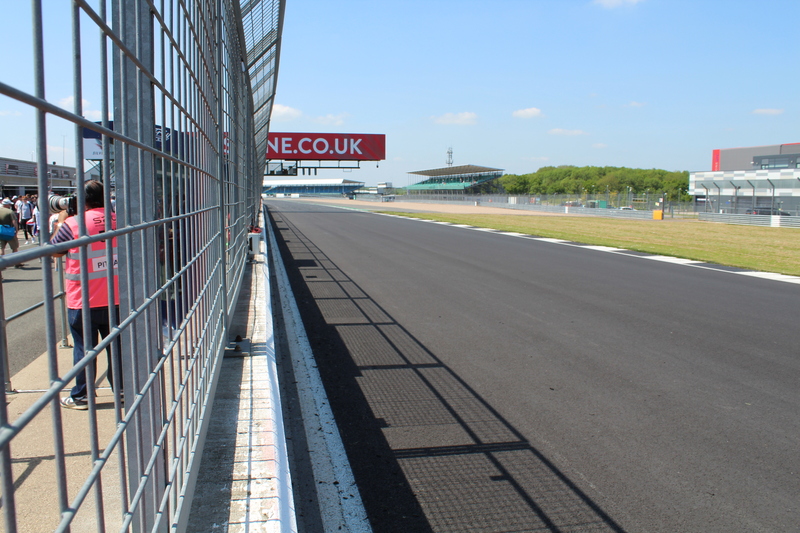 There are freedoms though and the teams use trick single seater suspension systems. 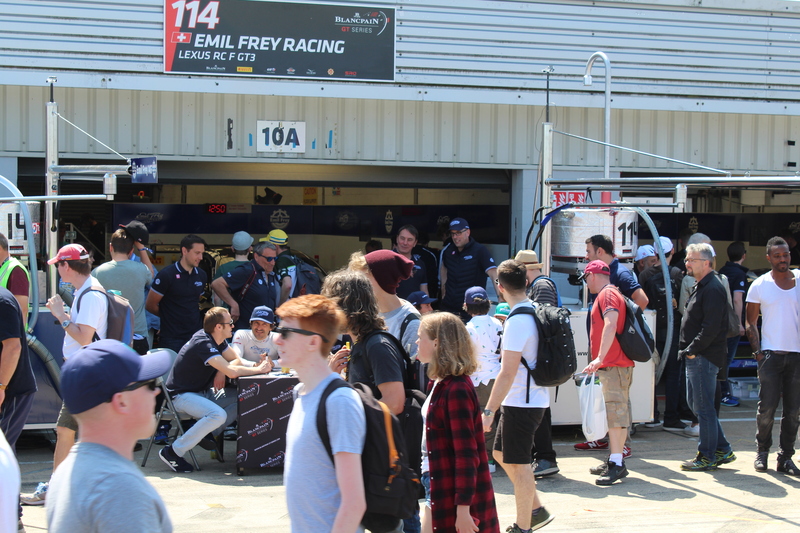 A pit walk followed the tour, allowing the fans to meet the drivers and teams. The championship definitely welcome fans with open arms, and it’s great to see! After this, we had a delicious lunch at the teams’ hospitality. It was getting close to race time though, and before that was the grid walk. It was super busy on the grid, with the cars coming around from the pitlane, before being pushed to their spots on the grid. 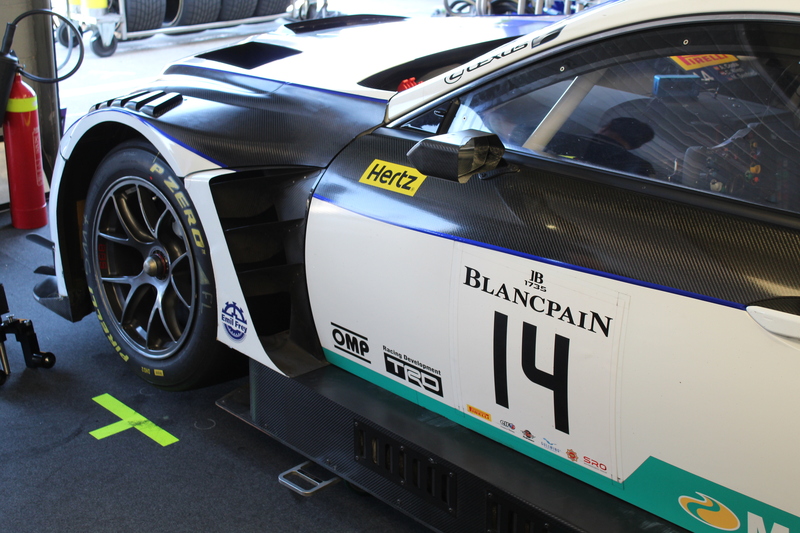 Christian Klein would be taking the wheel of the number 14 car, whilst Stephane Ortelli would start the 114. Now after half an hour of racing, the two Lexus were running very well, with Klein in 4th place and Ortelli two places further back in 6th. 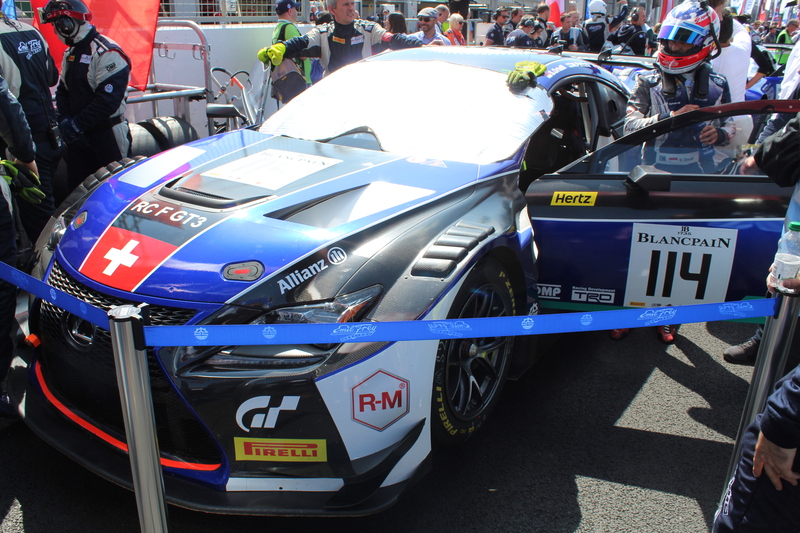 As the pitstops approached after nearly 50 minutes of racing, the RC-F GT3’s were 6.3 and 9.4 seconds from the leader. 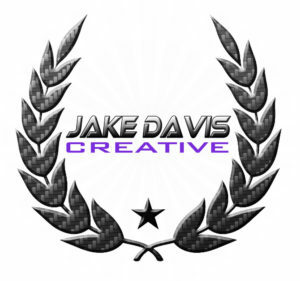 The team had done a very good job indeed. The number 14 Lexus, with Klein behind the wheel pitted, but suffered a slow pitstop. The reason? 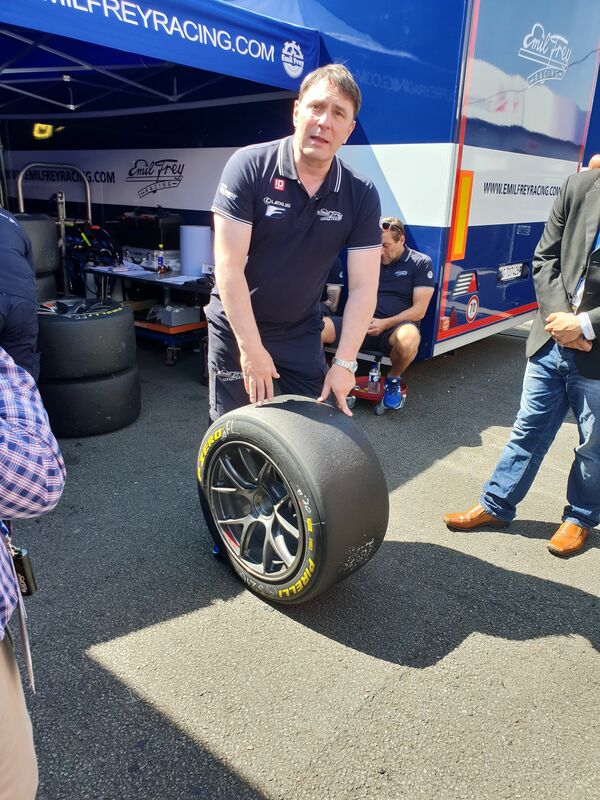 Well, the team had a failure with a wheel gun slowing down the changing of the tyres. Ortelli pitted a couple of laps later, and the pitstop was completed without any hitches. All of this meant that the 114, driven by Marcus was now in 5th place, whilst number 14, piloted by Marco was now in 7th. 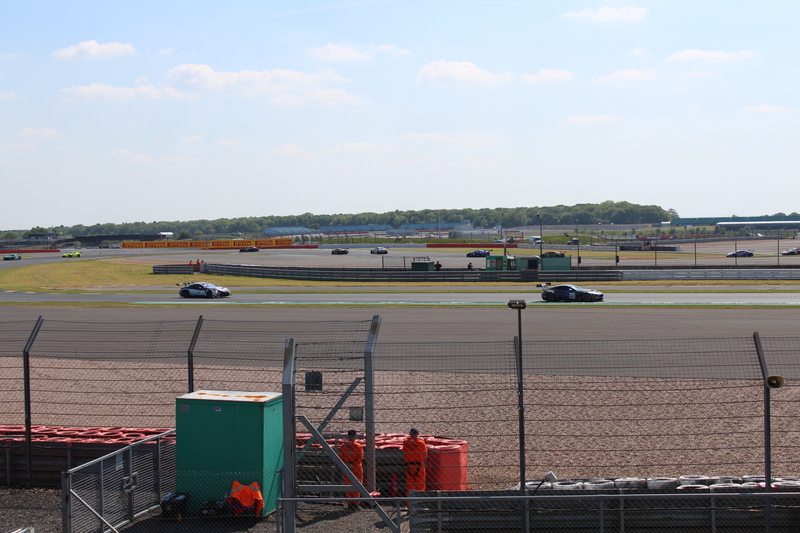 Twenty minutes after the pitstops Marcus passed the number 4 Mercedes, and then quickly closed on the number 62 Aston Martin which had Alex Brundle behind the wheel. On lap 51, Alex made a mistake and slid wide in the left-right-left and this allowed Marcus to get alongside the Aston and then make the pass into third place down Hangar straight! With an hour and five minutes to go, Marcus pitted and handed 114 over to Norbert. It would be down to him to bring the car to the chequered flag. 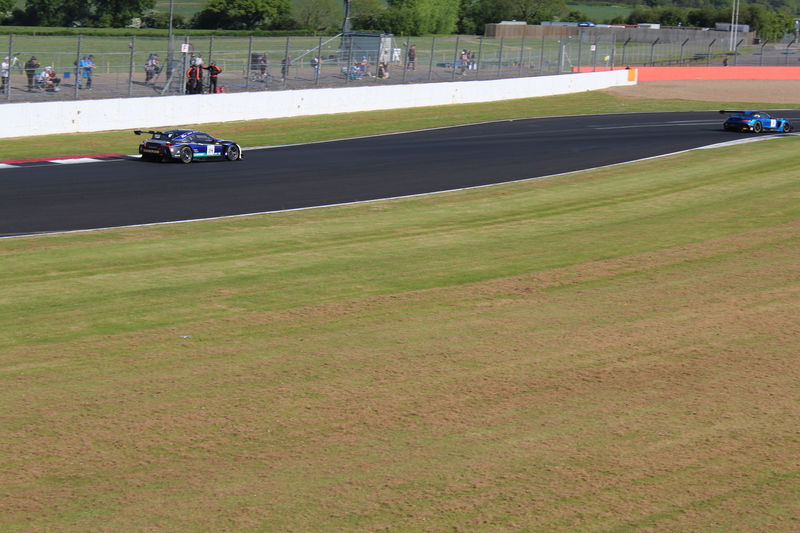 A lap later and Marco pitted and Alberto Costa took the wheel of the number 14 and re-joined in 8th place. 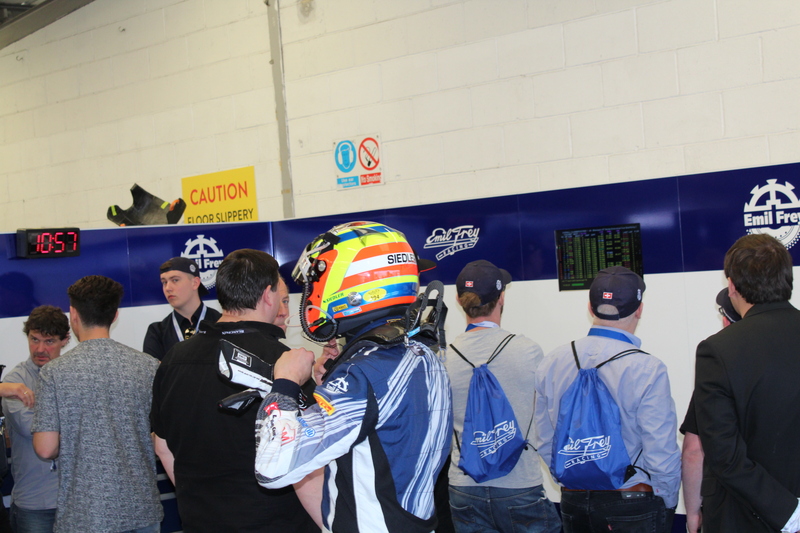 He started setting some very fast sector times, looking to move up some places. 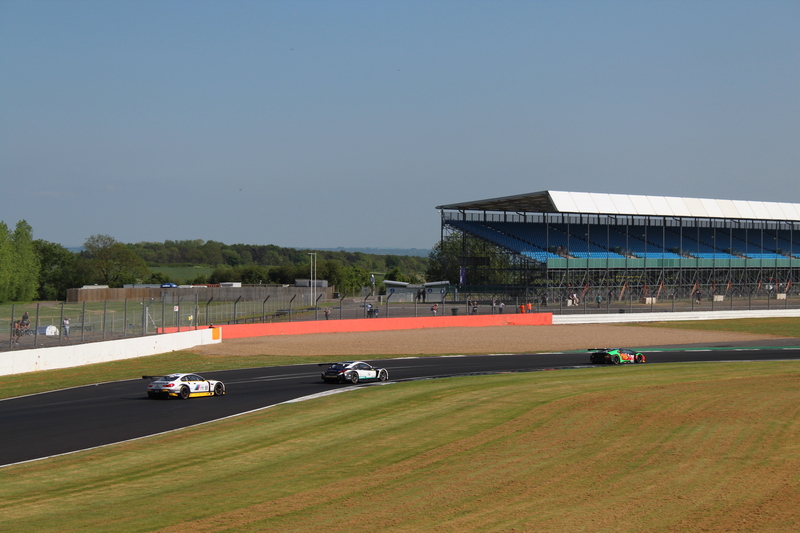 On lap 69, Albert Costa passed the Strakka Racing number 43 Mercedes for 7th place. He was just two seconds behind the 62 Aston Martin now. Just thirty minutes remained in the race. With just twenty minutes left, Costa was dropping back a little, with the 43 Mercedes getting closer and behind that, the 72 SNP Ferrari closing on the Merc. Meantime, the 114 was holding its own, 22 seconds from 1st place, but the number 1 Audi was within 1 second of the Lexus. Drama though for the number 14 car which ran wide at Aintree on lap 75, giving the 72 Ferrari 7th place. Just six minutes remained now, and the battle was on for the final spot on the podium between 114 and 1! With less than 4 minutes remaining the 114 Lexus was still in 3rd place! The team were looking at their first podium finish! Coming into the loop near Silverstone six stand, the number 1 Audi got a run and was starting to get alongside the Lexus, but he ran wide, giving Norbert a breather! It was enough! They’d done it! Further back number 14 had lost another place unfortunately, crossing the line in 9th place. The team had definitely done a very good job to improve the car, allowing them to fight at the front. 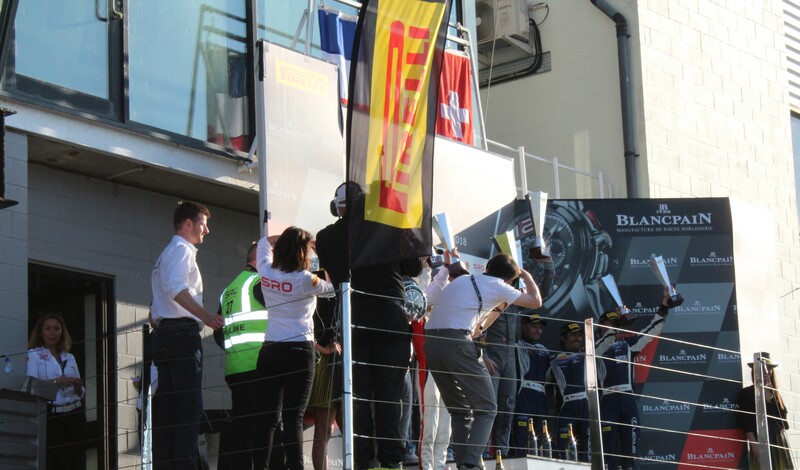 We all headed down to the end of the pitlane to watch the podium, which was their first ever in the Blancpain championship. 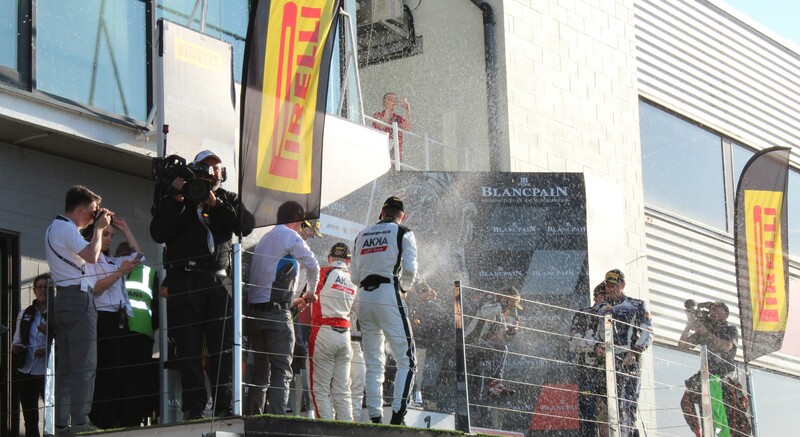 The trophies were handed out and then it was the time-honoured tradition to spray the champagne! 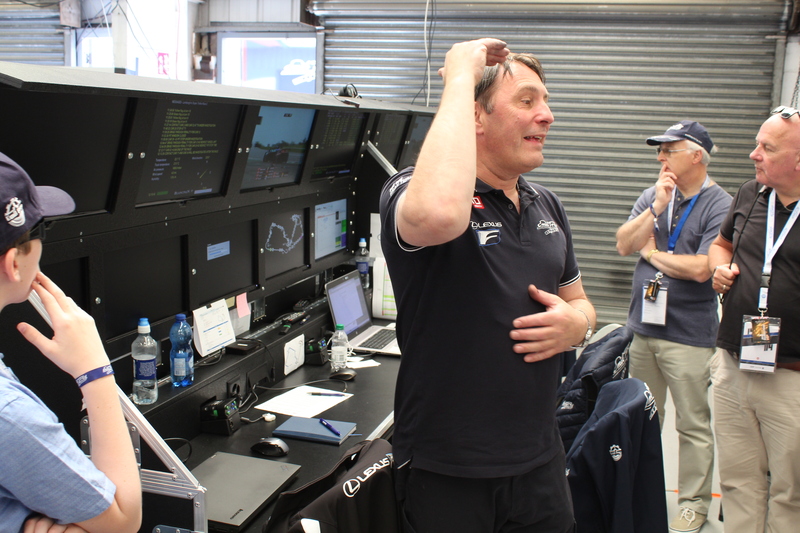 It was now time to go home, but first we visited the team garage and watched as the team all celebrated their great result! 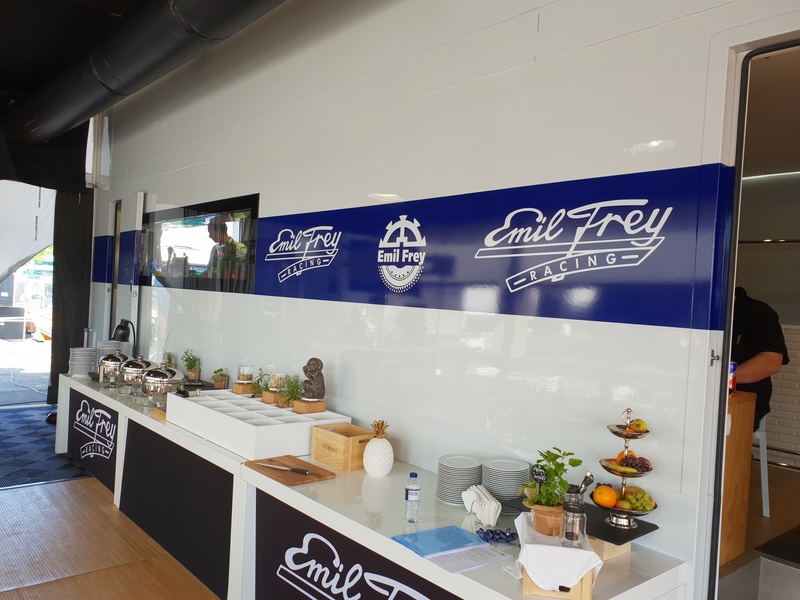 Finally, I’d like to say a big thank you to Matt at Lexus/Toyota and Emil Frey Racing for the invite. Ed and I had a fantastic time, with a really friendly team.